"...this text takes a novel approach...The style...is not as dry as other statistics texts, and so should not be intimidating even to a relative newcomer to the subject...The layout is easy to navigate, there are chapter aims, summaries and "key point boxes" throughout." -The Pharmaceutical Journal, 2008 This text is a clear, accessible introduction to the key statistical techniques employed for the analysis of data within this subject area. Written in a concise and logical manner, the book explains why statistics are necessary and discusses the issues that experimentalists need to consider. The reader is carefully taken through the whole process, from planning an experiment to interpreting the results, avoiding unnecessary calculation methodology. The most commonly used statistical methods are described in terms of their purpose, when they should be used and what they mean once they have been performed. Numerous examples are provided throughout the text, all within a pharmaceutical context, with key points highlighted in summary boxes to aid student understanding. 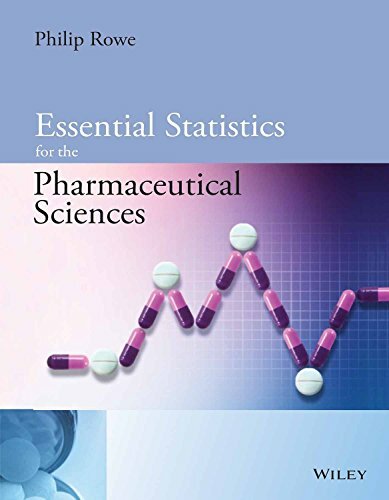 Essential Statistics for the Pharmaceutical Sciences takes a new and innovative approach to statistics with an informal style that will appeal to the reader who finds statistics a challenge! This book is an invaluable introduction to statistics for any science student. It is an essential text for students taking biomedical or pharmaceutical-based science degrees and also a useful guide for researchers. 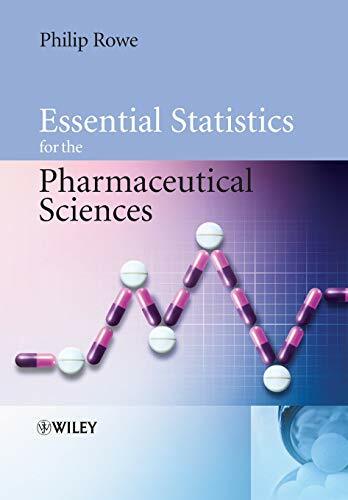 "Essential Statistics for the Pharmaceutical Sciences" is a clear, accessible introduction to the key statistical techniques employed for the analysis of data within this subject area. Written in a concise and logical manner, the book explains why statistics are necessary and discusses the issues that experimentalists need to consider. The reader is carefully taken through the whole process, from planning an experiment to interpreting the results, avoiding unnecessary calculation methodology. The most commonly used statistical methods are described in terms of their purpose, when they should be used and what they mean once they have been performed. Numerous examples are provided throughout the text, all within a pharmaceutical context, with key points highlighted in summary boxes to aid student understanding. 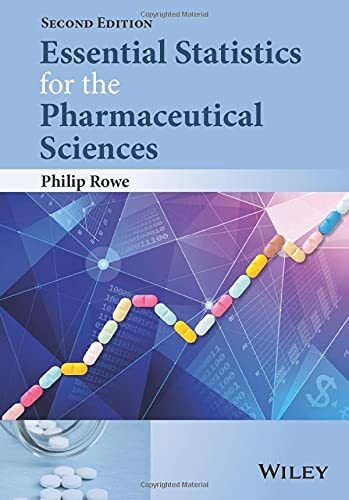 "Essential Statistics for the Pharmaceutical Sciences" takes a new and innovative approach to statistics with an informal style that will appeal to the reader who finds statistics a challenge! This book is an invaluable introduction to statistics for any science student. It is an essential text for students taking biomedical or pharmaceutical based science degrees and also a useful guide for researchers.